It’s Hairspray Live!, you gays! Noted Wicked tailgater Billy Eichner has joined the starry lineup for NBC’s December 7 musical telecast. 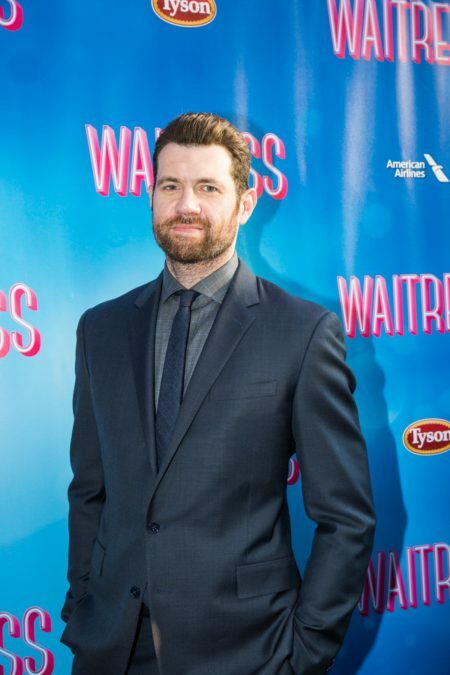 The Billy on the Street and Difficult People star will make a cameo as Rob Barker, the local WZZT newscaster in Baltimore. New additions to the cast also include Hairspray's original Dynamites trio: Shayna Steele, Kamilah Marshall and Judine Somerville. As previously announced, the cast will feature Maddie Baillio as Tracy Turnblad, Harvey Fierstein as Edna, Ariana Grande as Penny, Ephraim Sykes as Seaweed J. Stubbs, Jennifer Hudson as Motormouth Maybelle, Kristin Chenoweth as Velma, Dove Cameron as Amber, Garrett Clayton as Link, Derek Hough as Corny Collins, Martin Short as Wilbur, Andrea Martin as Prudy and Shahadi Wright Joseph as Little Inez. The live musical will also include special appearances by Rosie O’Donnell as the gym teacher and Sean Hayes as Mr. Pinky. Rounding out the ensemble are Josh Alexander, William Bell, Helene Britany, Riley Costello, Kelli Ann Erdmann, Zack Everhart, Sam Faulkner, Annie Gratton, Thomasina Gross, Marissa Heart, Joanna Jones, Jacque Lewarne, Tommy Martinez, Allie Meixner, Eliotte Nicole, Tiana Okoye, Amos Oliver III, Tyler Parks, Re'sean Pates, Andrew Pirozzi, Katherine Roarty, Rhon Saunders, Ricky Schroeder, Heather Tepe, Joy Marie Thomas, Mason Trueblood, Karl Skyler Urban, Keenan Washington and Jason Williams.